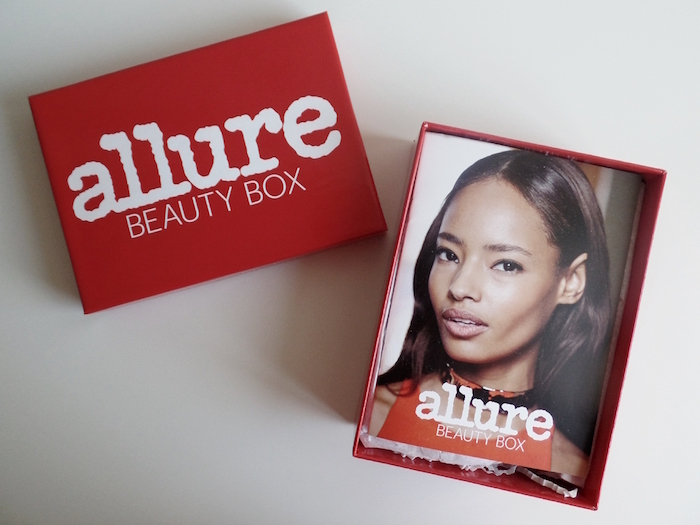 This is my first Allure Beauty Box (ABB) and I'm really excited about it considering May and June's were pretty rad. 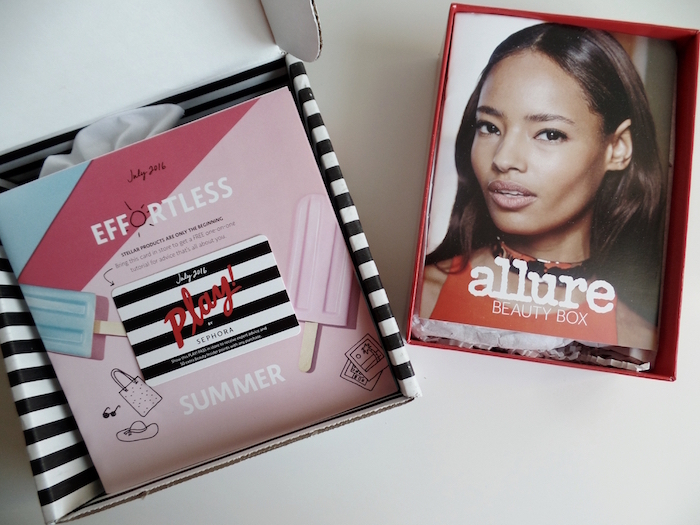 The July box is in collaboration with Nordstrom in celebration of their anniversary. The enclosed booklet had a calendar of Nordstrom events that runs from July 22 (tomorrow!) until August 7 where there are beauty gifts with purchases, special deals, tips, and yay -- samples. The ABB booklet is also your passport to get an exclusive Bobbi Brown Skin Foundation Cushion Compact SPF35 sample from Nordstrom. Opening the box, I was initially half half about it considering these products are not new to me. Fellow consumers here in the US were very disappointed considering that these products are easily available for free with or without purchase on the counters. Since I started blogging in 2003, you've at one point heard me swoon over and over the Smashbox Photo Finish Foundation Primer. 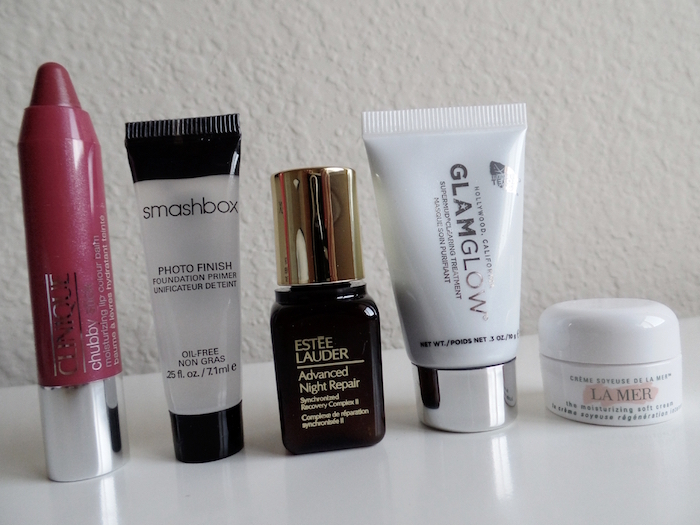 In the age of complex primers, I'm glad to see this #beautyblogger classic still available. Skin care wise, it's great to find my all time favourite serum in this box. I like toting Estee Lauder Advanced Night Repair Synchronized Recovery Complex II samples whenever available since these are TSA friendly. Ooooh GLAMGLOW! I've tried the GLAMGLOW Supermud Clearing Treatment variant in 2014 (story here) and this is good for those with breakouts, discoloration, black and white heads, razor bumps, and even in-grown hair. Having sensitive and easy to burn skin, I like putting just a little of this on just-about-to-erupt pimples. It has salicylic, AHA, and BHA acids that put those at bay. The last two items in this box are household faves. The La Mer The Moisturizing Soft Cream is GREAT for many, many reasons. It's not inexpensive but it definitely works long term and a little jar goes a long, long way. It's significantly lighter compared to the original Crème de La Mer, making it a good product for those with normal, combination, and oily skin. It smells and feels very chica and I always have to refrain from overusing this. :) As an icing on the cake, Allure snuck the classic Clinique Chubby Stick Moisturizing Lip Colour Balm in Super Strawberry. While I'm more of a Curvy Candy and Graped-Up kind of gal, it doesn't hurt to have a sheer pink backup for beauty 911s.